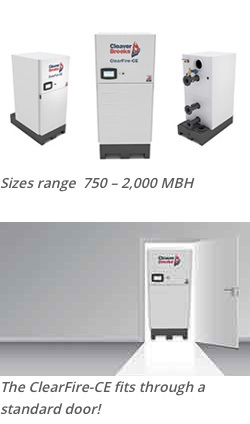 This high-mass compact fully condensing hydronic boiler, capable of variable-flow pumping, allowing for maximum operating efficiency in a variety of system applications.. 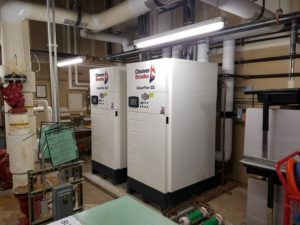 If you want reliability and efficiency in a hydronic boiler, the ClearFire-CE has a proven design with the same high-mass firetube design with stainless steel tubes and thermal shock proof pressure vessel for guaranteed long life. We make it easy! The ClearFire-CE hydronic boiler is compact, preassembled and fits through a standard door. It’s easy to maintain and works on all heating systems without complicated valving or extra pumps. All that, and the operating efficiencies achieve up to 99% and less than 20 ppm NOx emissions comes standard. 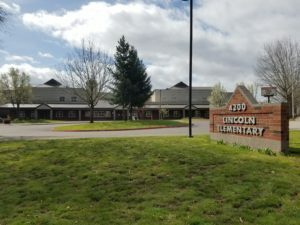 A local elementary school improved efficiency and reliability by replacing existing units with (2) ClearFire-CE 1500 and (2) ClearFire-C units.